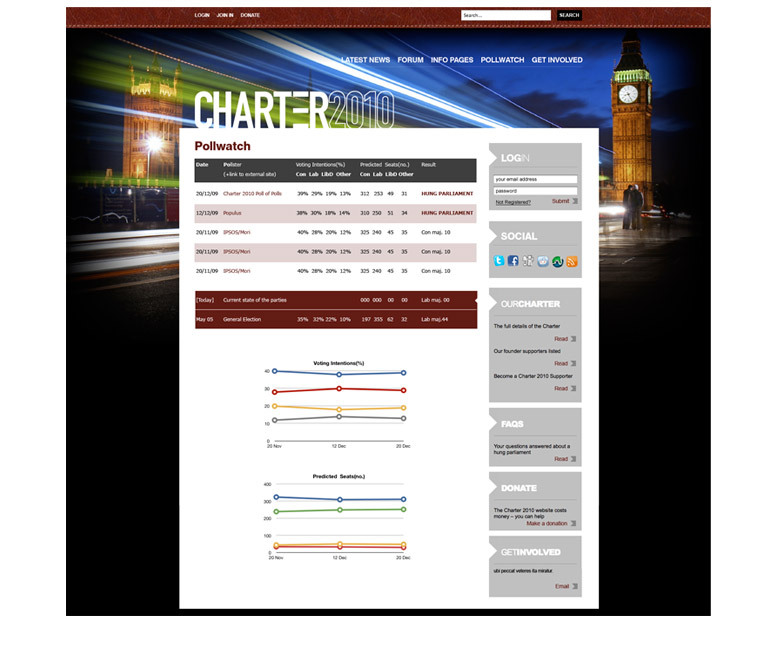 Over just three weeks we designed and developed this acclaimed website for Charter2010 to promote online and media discussion of a possible hung parliament and how it could be transformed into a stable and representative government. The site, which embraces online marketing and social networking, is based on a CMS system and includes a blog, forum and registered users’ system. 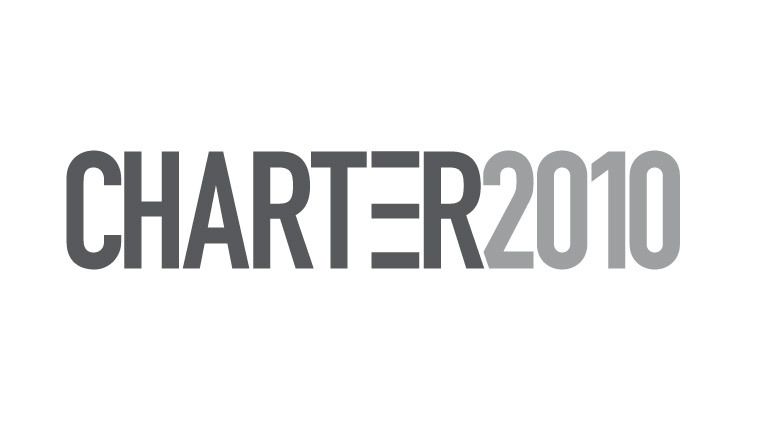 After we developed the website for the Charter2010 organisation, we needed to promote it online and via traditional PR methods. For online marketing we used Facebook, Twitter and Google Adwords, posting onto related blogs and forums. We also kept the national, regional and specialist press up-to-date with what was going on with the site in the run-up to the election. This culminated with articles in the Daily Telegraph, Financial Times, The Independent and New Statesman, and slots on Radio 4’s Week in Westminster and Today programmes, to name but a few. Our profound thanks go to everyone for their interest, and especially the team at CuCo, who have provided exemplary technical and journalistic support: getting the site up and running within a month of being given the OK, and then providing continued help and speedy response to site development over the six months the site existed – giving us the complete design and marketing solution we needed.